If you want suggestions on how to cut down on waste and make your home increasingly green, this article has some terrific tips. Tracey of the Don’t Mess With Mama website has collected 10 different ways to go green in the kitchen. What I like about her suggestions is that they are both simple and practical. Here is just one tip: You could be pouring money down the drain in your home right now. Tracey suggests attaching low-flow faucet aerators to kitchen faucets that have a flow greater than 2 gallons per minute. By updating your kitchen and bathroom faucets, you can save up to $80 per year. 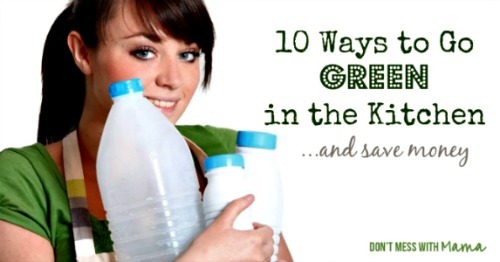 Click on the 10 Ways to Go Green in the Kitchen and Save Money link to see all 10 of Tracey’s tips.